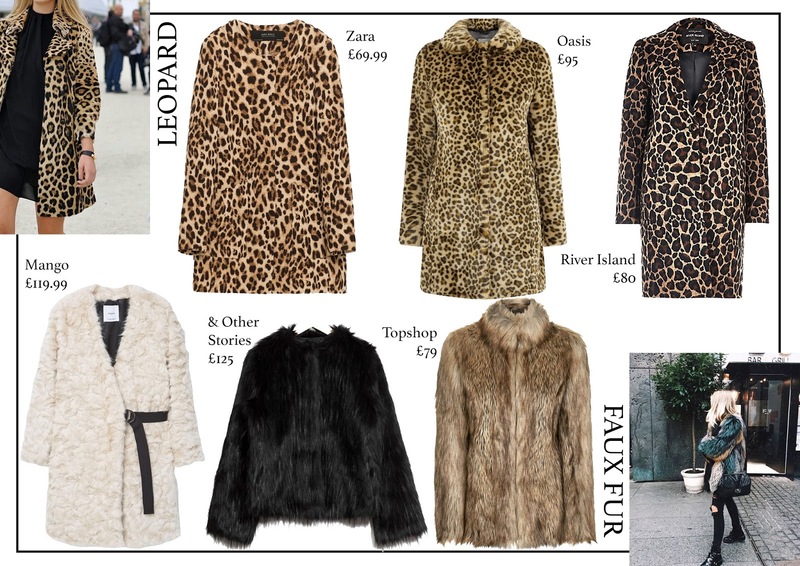 Once loved only by the Kat Slaters of the world, leopard has made a triumphant return this season and has become the IT girls coat of choice. There's the option of fur texture or a more tailored print, but whatever you choose, wear it with a fierce attitude. The popularity of faux fur can probably be pinpointed to the Kardashian family - in particular, their outfits at the Yeezy season two show. But seriously, can you think of anything better to fight off the cold than a faux fur coat? Glamour + Warmth = The Perfect Coat! Replacing the association with aviator/lumberjack from previous years, shearling now represents urban dressing. 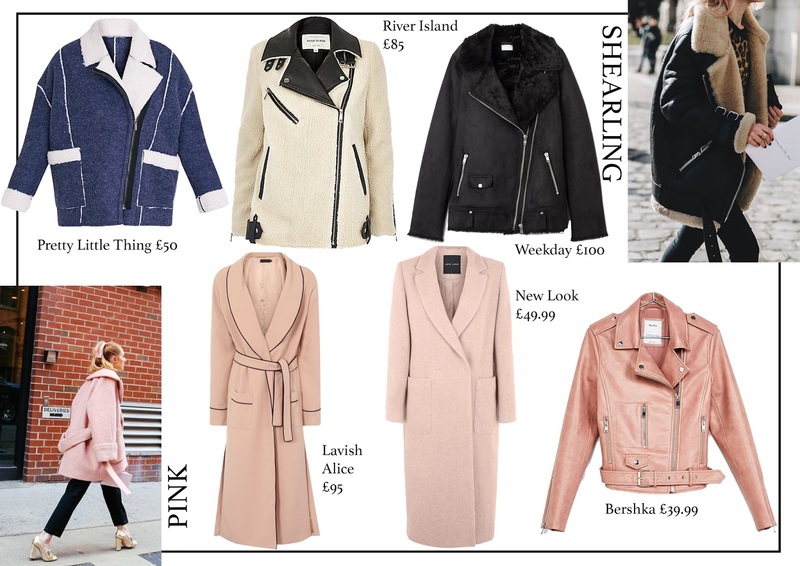 Paired with denim, wool, leather and suede, shearling jackets are perfect for weekend dressing in the city. Tip - go for an oversized relaxed look. We have truly fallen in love with the colour pink - it's been around for numerous seasons and doesn't seem to be going anywhere soon. Alexander McQueen, in particular, championed this colour by sending a quilted version down their runway to applause. 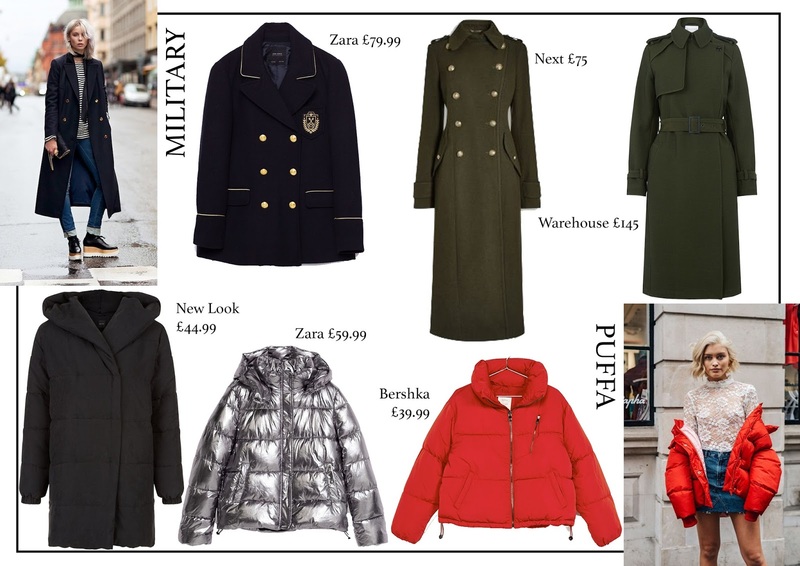 Thanks to Prada & Burberry, military-style coats have become THE formal outerwear of aw16. With a choice of double breasted, trench, embroidery, navy and dark green, it wouldn't make sense to own just one. 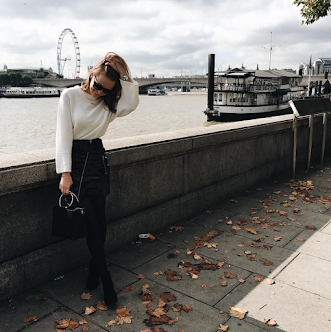 Stemming from the athleisurewear trend that has taken over, well, the world, puffa jackets have been seen all over street style blogs. In terms of styling, drape it around your upper arms in a slouchy way for ultimate-cool-girl points.